Jonathan Overend is joined by former Stoke midfielder Matthew Etherington, former Newcastle striker Shola Ameobi and Tom Collomosse from the London Evening Standard to reflect on how Manchester City clinched the League Cup by beating Chelsea in a penalty shootout after the match finished 0-0. 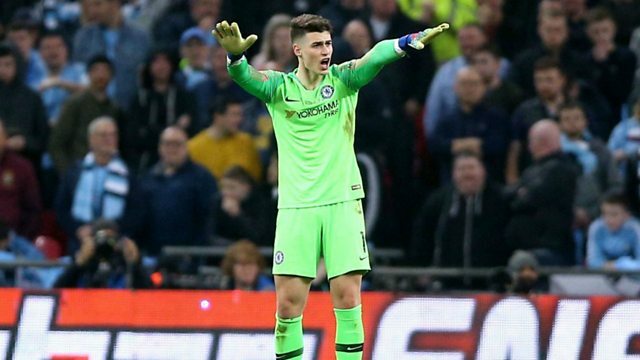 The game was overshadowed by Chelsea goalkeeper Kepa Arrizabalaga refusing to be subbed off just minutes before his team lost the shootout. The team also discuss whether it’s two points dropped or one point gained for Liverpool after their 0-0 draw at an injury-hit Manchester United as they return to the top of the Premier League table. And former Leicester player Robert Huth doesn’t hold back when giving his thoughts on Claude Puel on the day he’s sacked as manager of the club.